Sun is on its full gear and off course it’s hard to protect your skin from all that heat. 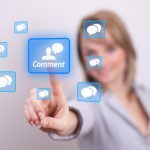 We all need to go to work, attend to our daily engagements and as a result, we forget that in all this running and polluted environment, our skin is getting tanned. Sun hinders the natural glow of your skin, making it appear dull and dark. A tan at times could simply seep too deep into your skin that it might just cause a lot of damage to sensitive skin. There are numerous natural remedies that can help you to scour a tan in a caring and much effective manner. Coconut oil is one such ingredient. 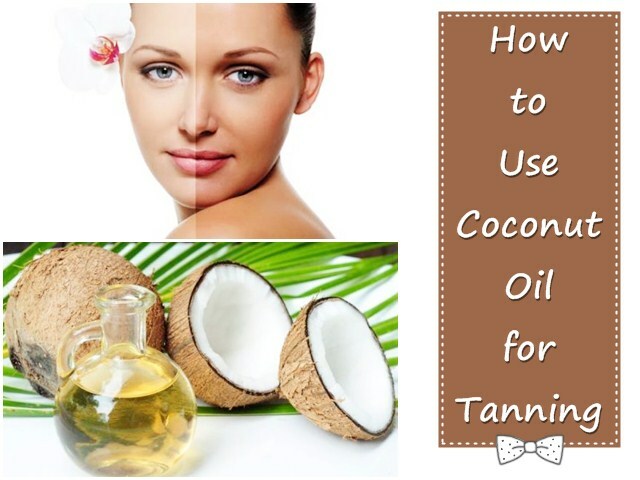 In this guide, I have shared the multifarious benefits of coconut oil for treating sun tans. Coconut oil has been used by people for centuries. It helps to cleanse and protect your skin. Not only this, it helps to heal the abrasions and dryness of your skin. It is rich in fatty acids which are considered to be extremely beneficial for the removal of skin tan. Besides this coconut oil contains many vitamins and numerous protective elements, which makes the skin glowing. Coconut oil has a strong SPF factor of nearly 4 which has made it extremely popular as a conventional skin application product. Coconut oil is also used to prevent tanning and in making of numerous sunscreen products. It has powerful antibacterial as well as moisturizing properties. Coconut oil contains essential vitamins and other protective elements, necessary for skin. This makes it ideal for skin and is now fast emerging as favourite among an ever increasing number of people. It is seen that getting exposed to sun rays for a longer periods of time changes the colour of the skin making it slightly deeper and dark. The tanning is due to the exposure of the skin to the harmful UV rays present in sunlight especially in the tropical areas. Tanning can also be caused due to exposure to the polluted atmosphere or fumes of harsh chemicals etc. The exposure to the harsh and penetrating rays of the sun on all the exposed parts of the body such as face, neck, legs and arms can trigger serious skin problems. You may get a sun tan due to various reasons such as exposure to the harmful UV rays, exposure to polluted environment, harsh chemicals, etc. The sun tan can cause itching and burning sensations, rashes and may become a precipitating factor in causing acne. Pimples and dark spots occur due to suntan. Besides this, wrinkles and other signs of aging such as fine lines beneath the eyes appear due to excessive exposure to the sunrays. In extreme cases, this may give rise to skin cancer. There is large variety of sunscreen lotions and sun blocks of numerous brands available in the market. 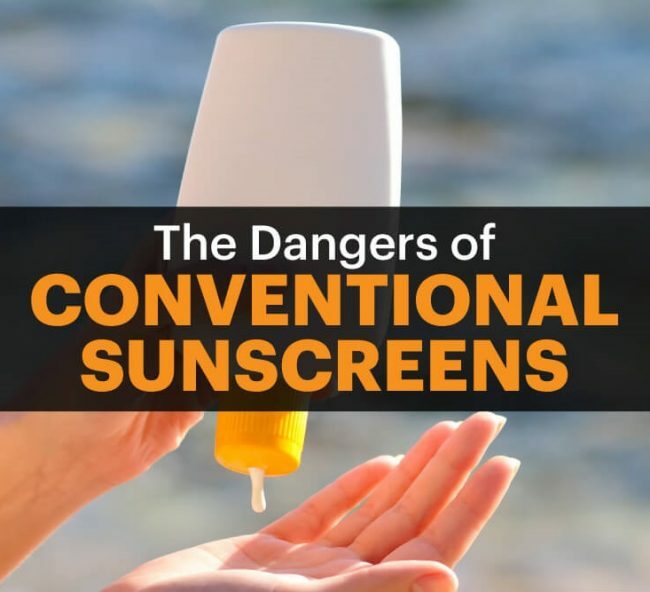 These sunscreens and sun contain a sufficient degree of toxic chemicals that can damage your skin especially if you have a very sensitive skin or are suffering from skin problems such as eczema. The research studies reveal that the sunscreen lotions and creams have lot of toxins such as typical essence for fragrances, alcohol, petroleum oils as well as solvents that irritate the soft skin. These chemicals break down in presence of sunlight and release toxins which are absorbed by the skin and are severely harmful. Regular sunscreens no matter of what brand cannot provide adequate protection and in fact ultimately harm the skin. There are many simple and natural home treatments for sun tanning that can clear your sun tan and help you retrieve your natural complexion. 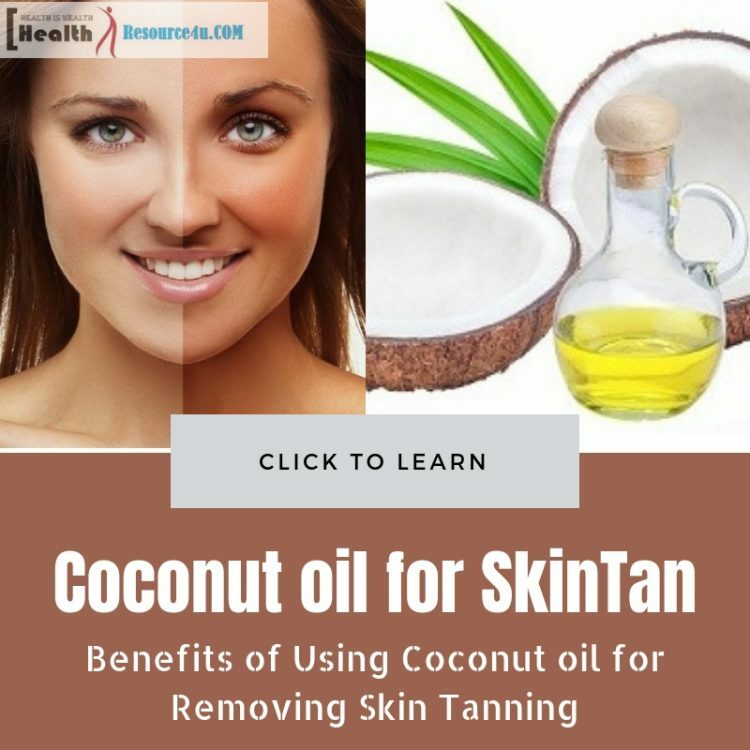 It is possible to remove sun tan completely with some simple home remedies and the coconut oil works as an elixir for your tanned skin to find a great difference. Regular application of coconut oil will tone your skin and remove your tan in merely a week’s time. Many people are using coconut oil since past many years. Coconut oil is 100% natural. It is free of toxic chemicals. It not only has a great odour, but it is also very affordable. Coconut oil is a natural and an efficient sunscreen. Its application gives a very soothing and calming relief from the irritation of sunburn. As you mix coconut oil with essential oils its basic properties get enhanced and it acts as an effective and powerful sunscreen. You can apply it directly as a lotion or mix it with other natural ingredients in order to combat sun tanning. 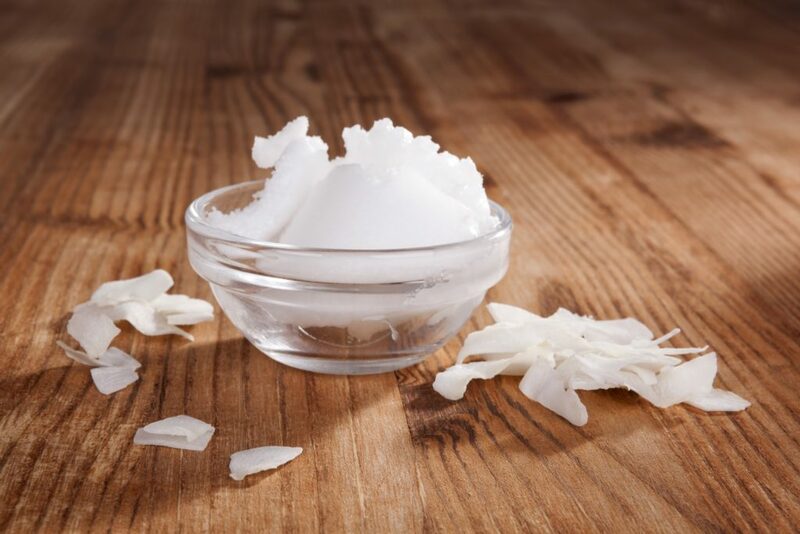 Coconut oil does not block the absorption of vitamin D. Rather coconut oil prevents tanning and allows your skin to soak up natural Vitamin D which is extremely good for your bones. Most sun screen lotions and sun blocks work by blocking the sun’s UV rays but at the same time impede the skin’s ability to absorb Vitamin D thus depriving your body of important nutrients which are so essential for your skin. It is best to apply the coconut oil all over your body just like you any sun tanning lotion or sunscreen especially if you’re going to the beach or pool. You simply put coconut oil in one of those spray bottles. If you are using coconut oil for the first time then lather a sufficient amount all over your body. It is best to re-apply after every 10 minutes. Unrefined or virgin coconut oil works really great on skin since it contains the important fatty acids which give immense skin benefits besides removing the skin tan .Coconut oil has been used for centuries to cleanse, protect and heal the skin. Coconut has an SPF factor of nearly 4 thus making it very popular. Many face masks are made at home in which coconut oil is the main ingredient. It is combined with antibacterial ingredients such as turmeric powder or strawberries paste or tea tree oil and even lavender oil and neem oil. A dash of honey which has powerful antibacterial and moisturising properties helps to prevent and cure the effects of sun tan. Combine half a cup of pure cold pressed coconut oil melted at slightly above room temperature with honey, yogurt and turmeric powder. You can also optionally add a few drops of Tea tree and Lavender oil. These ingredients really boost the effectiveness of this recipe. Apply to skin for at least ten minutes before washing off. You can remove the sun tan and heal your skin with the moisturizing properties of coconut oil. Before sitting out in the sun or going to the pool you should simply dab few drops of coconut oil mixed with few drops of cold water with some lemon juice. This is an effective sun tan lotion. 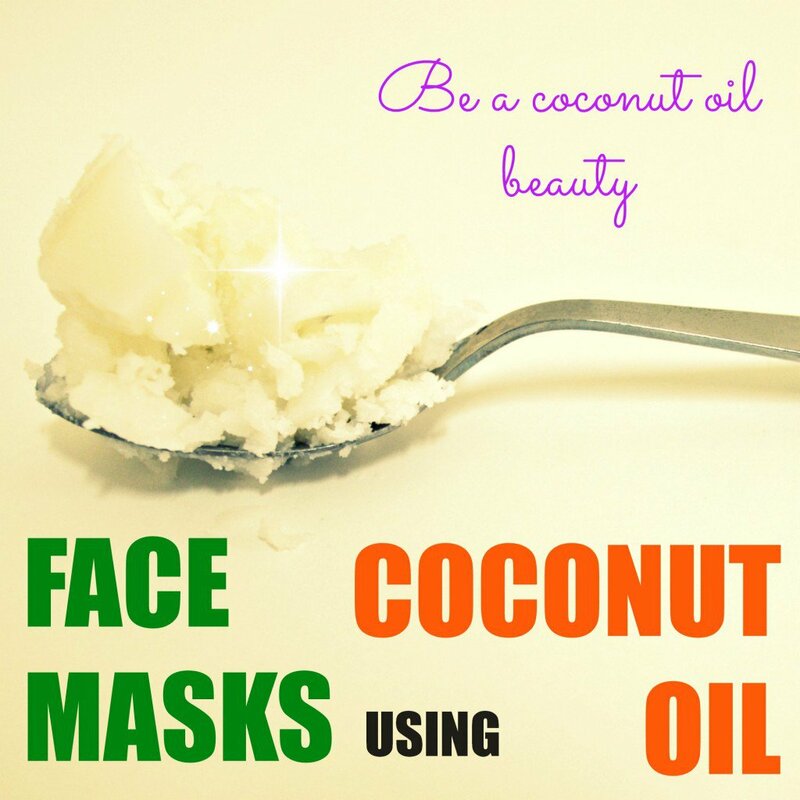 Coconut oil makes an ideal base for your home made beauty products. The amazing home facial pack works wonders for your tanned skin. Mix rice powder, some drops of honey in coconut oil. It acts as a natural skin lightening oil. It also helps in refreshing the skin, removing the dead skin cells, and gives a lighter, smoother and fairer complexion. Another important ingredient which can be mixed with coconut oil is paste of raw peeled potato and some hung curd. This is ideal for removing the sun tan. A great home remedy for treating severe sun tans deeply cleansing the skin is mixing masoor dal paste and lemon juice with coconut oil. This helps to fight the sun tan. Aloe Vera gel is also known for its skin lightening properties. This natural cleanser when mixed with coconut oil, lemon and honey soothes the inflamed and tanned skin. There is no ingredient as effective as Multani Mitti. The amazing mud when mixed with drops of rose water and coconut oil has a great cooling effect. This mixture helps in removing sun tan and lightening skin blemishes and dark spots and reducing irritations, as well as rashes. It is best to use coconut oil as one of the key ingredients for skin care and achieve your specific goals. Coconut oil will soften and rejuvenate your skin and impart lustre to it. Try to inculcate these small tips in your regular skin routine to avoid the unappealing skin tans. I have been using organic virgin coconut oil during, after and sometimes even before showering to help keep my skin moisturized. I use it for many things such as shaving, leave in conditioning, hair and skin masks, I even put a tablespoon of it in both my sons baths to help with their eczema during winter months. I’ve even got all my friends and family to believe in the great things it does. I enjoyed your article but with the years I have spent using it (daily, 15 years about) I can not agree that it helps rid or prevent the body of tanning. I’ve specifically used it to do just that both in tanning beds in the winter and on the beach.. it can cause burns but also helps heal burns caused by UV lighting of the tanning beds and the natural direct sun bathing. Using it for tanning also helps prevent peeling and adds moisture while helping give a natural all over tan.